Something from my bar whenever I feel like it episode CXLIVsteemCreated with Sketch. 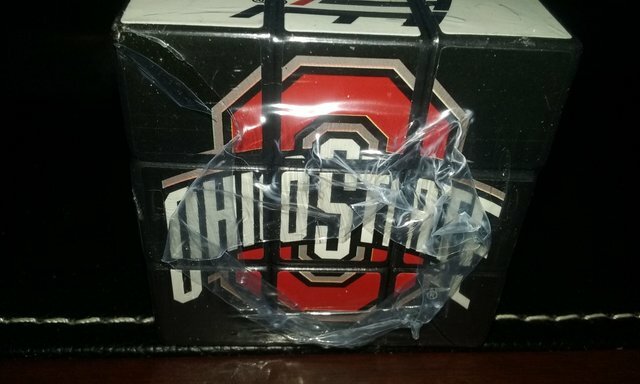 Big game tonight so had to scrounge up a few more Buckeye items for this week. 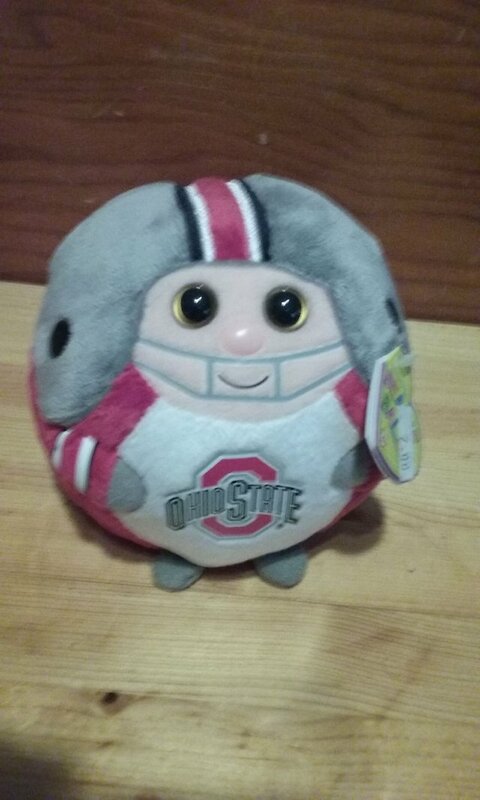 First up is a little Brutus beanie. 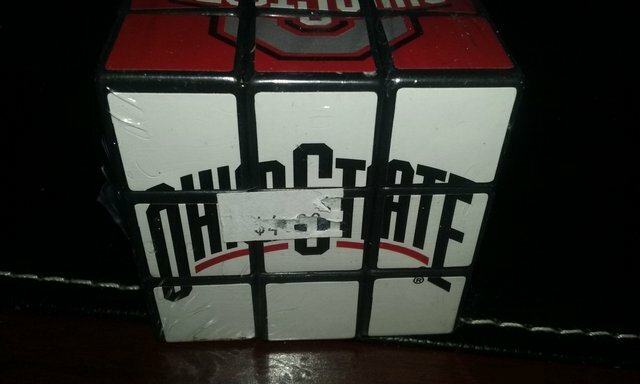 He sits on top of my college beer mug in the bar. 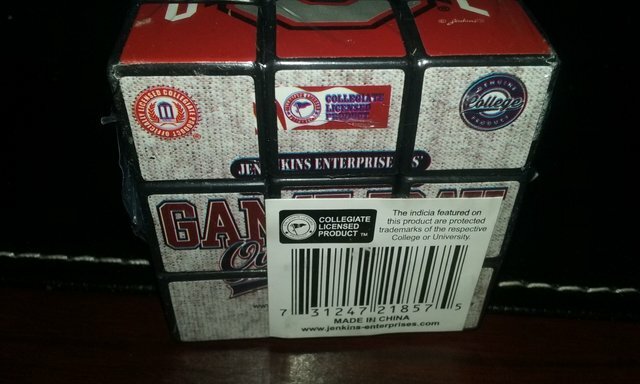 Next up is a brand new addition. Hasn't made it to the bar yet but will soon. 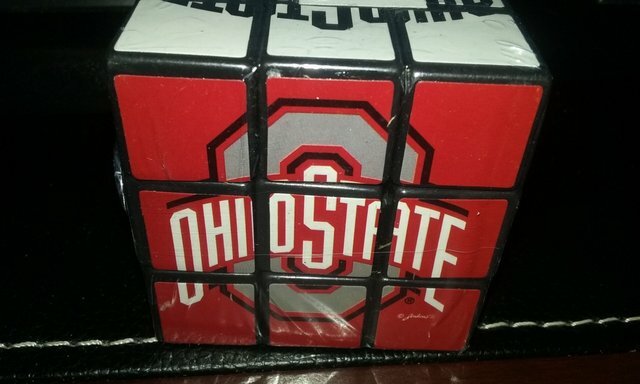 Just got a OSU Rubix cube for Christmas. 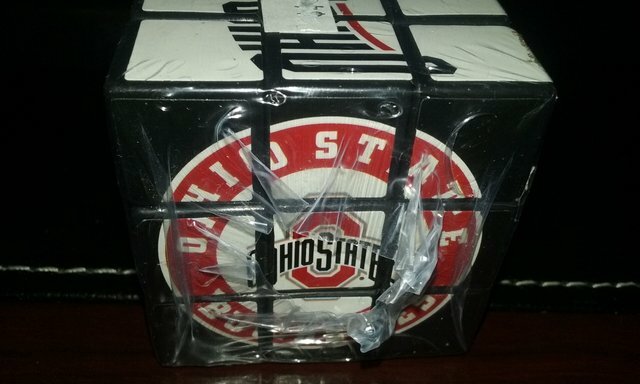 Don't think I'll take it out of the shrink wrap because I don't want to mess it up and not be able to finish it. Always had a problem with the last row. It does show one thing though. 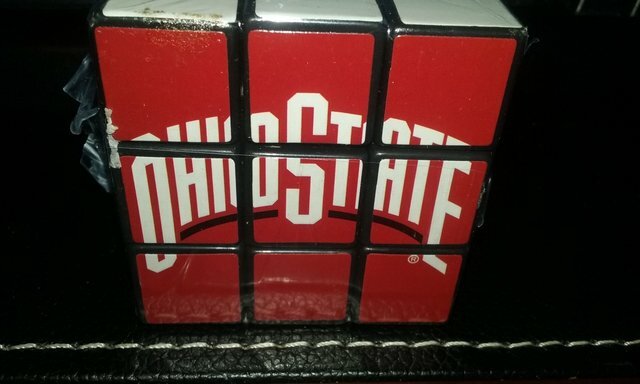 College sports have become so commercialized that even a simple cube has to have several trademarks/copyrights on one side.